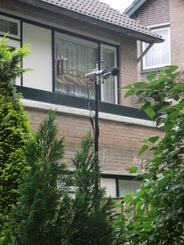 The expression "controlling the dB's" or shorter "dBcontrol" is for us the build up of a measurement network, continuous monitoring of sound levels and adjustments if necessary. 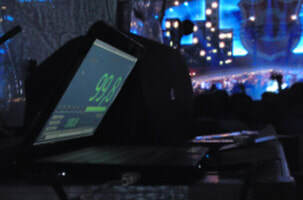 Most of the time dBcontrol is hired by a festival promoter to avoid troubles with the license. The local governement is also controlling levels. During the preproduction there's communication with the promoter about the license, the setup of a measurement plan and communication with the sound engineers about the PA design. During the event there's ofcourse the measurement of the decibels, feedback towards engineers, sometimes intervention or adjustment. The project is closed with an evaluation and measurement report. 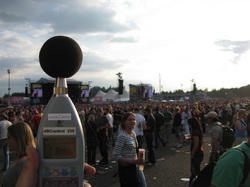 An important part of controlling sound levels at a large event is to understand and control the stakeholder picture around an event. dBcontrol talks the language of the promotor, sound engineer government and the neighbour. After 15 years of experience it has been proved the all situations and troubles (and luckily also the solutions) can be described and fitted into the model. Besides controlling the decibels as a service provider, dBcontrol is also active with research, policy development and teaching and lecturing.